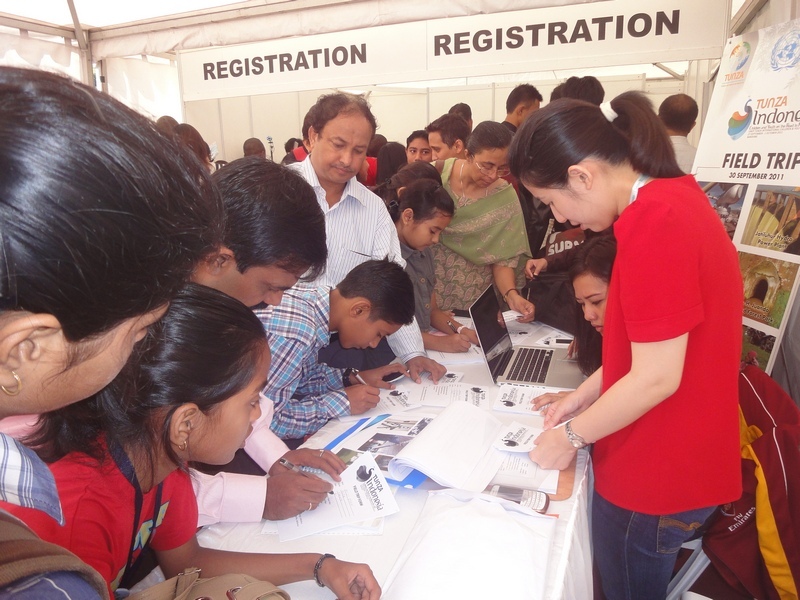 Tarumitra-wise, two from Darjeeling, one from Vishakapatnam, two from Bangalore, eight from West Champaran, one from Lucknow and five from Patna participated in the event. 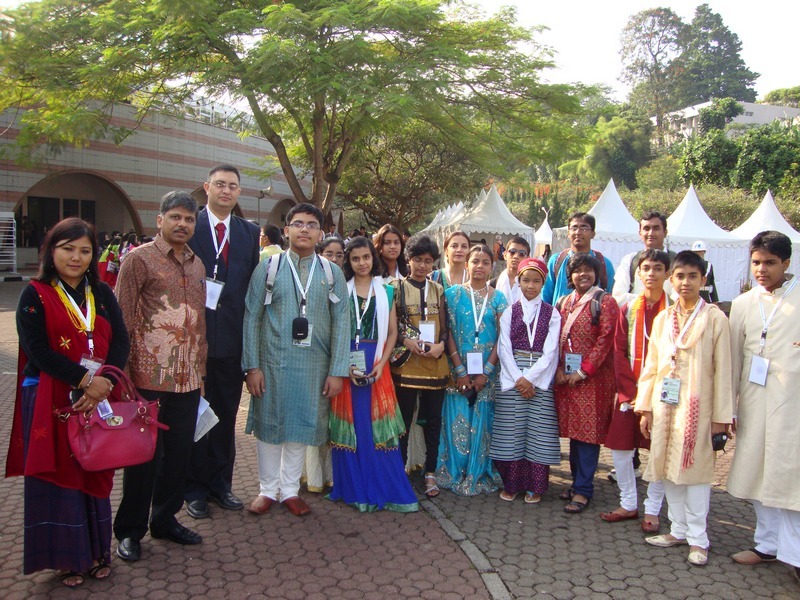 Yugratna from Tarumitra Lucknow who addressed the world leaders at the U.N in 2009 participated as the lone delegate from Tarumitra to the Youth conference. The afternoon flight to Indonesia on 26th took the group to the capital city of Jakarta by sun down. There was an official welcome committee at the airport and they facilitated the late night three hours trip to Bandung. The Indonesian welcome group was in special T-shirts were very hospitable and friendly, asked the delegates to take a fast supper and brace for a three hour ride on a bus to the venue of the conference in the city of Bandung. 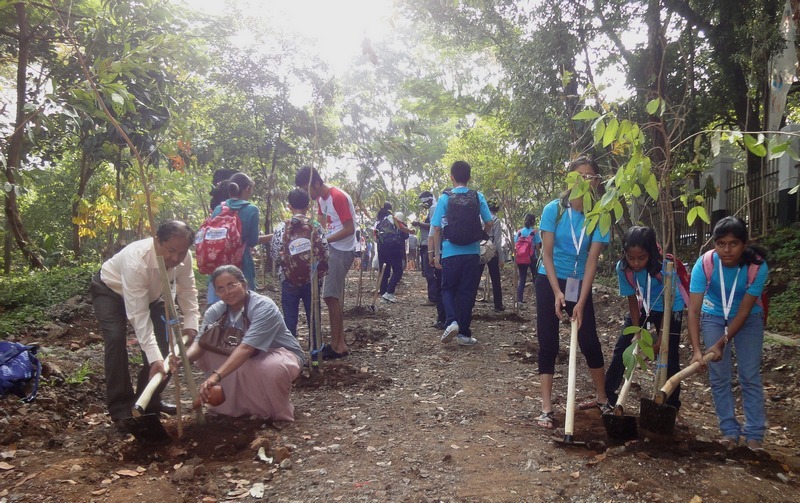 After the students purchased the local currency rupiahs and a hurried dinner the group moved out to the city in the night. 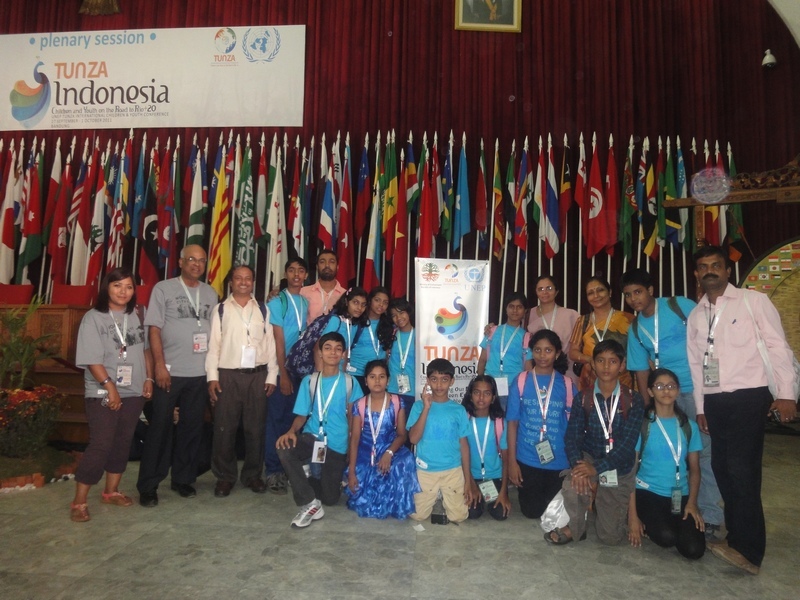 By the time the bus rolled out along with other fellow delegates from Russia, Singapore, Germany and Canada, the children were fast asleep. Many like Adel, Sushmit and Asad were fascinated by the nightscape and sat watching the city. The city certainly looked like any developed Western city. By the time the delegation was photographed and registered in Hotel Jayakarta and Holiday Inn it was wee hours of morning. When the alarms rang up early morning it was a herculean task for the students to get up and eat their first Indonesian breakfast. It was time to hop into buses which took them to the well-arranged hall where the inaugural ceremony was to take place. Right in the bus, the local volunteers made announcement that an Officer from the Indian Embassy was waiting to meet the Indian delegation. Pradeep Gupta of the Indian Diplomatic Service turned out to be an amiable friendly man who took a ten hour ride just to welcome the Tarumitra delegation to Indonesia. He sat down with the contingent when the dignitaries arrived one after another for the opening ceremonials. Honerable Vice-president of the country was the chief guest. When the ceremonial speeches were being trolled out, some of the group were feeling very sleepy. Ms Sudeshna from Darjeeling and Sr. Irene D’Souza from Holy Cross School took a side exit to a coffee shop downstairs selling the famed Indonesian coffee. The price of the coffee left them flummoxed! 20,000 rupiahs for a cup of coffee. This meant a person can take just five cups for one lakh rupiahs. The Indian diplomat consoled them that the coffee costed just about 100 Indian rupees. He taught the students as how to calculate the equivalent amount in Indian rupees: delete the last three zeros and then multiply it with 5! Later one of them, Thomas Poothara TOR found out a local chaiwallah was selling the same coffee for 3000 rupiahs i.e Rs 15. One cannot but remember the story of milliions of Italian lira needed to purchase small things. In other words, one can become a karorepati if they have a thousand dollars in Indonesia. 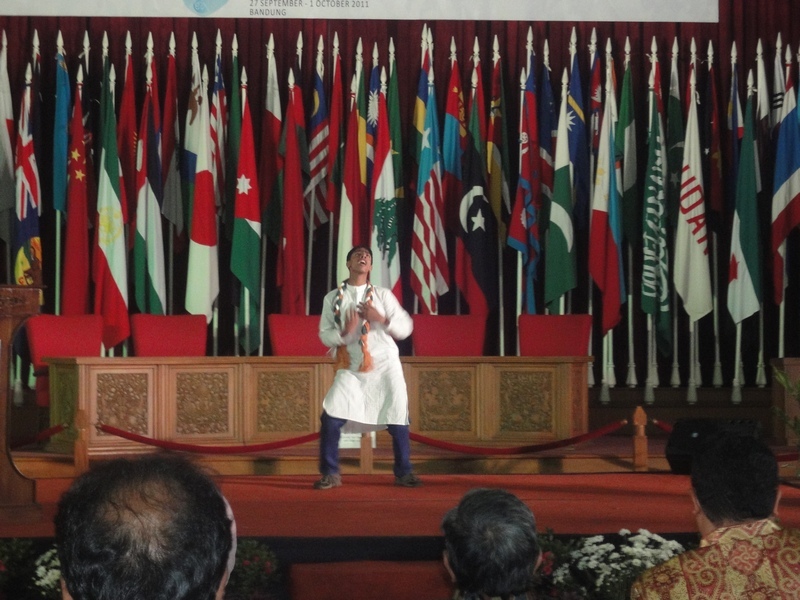 Everything said, the conference has been a celebration of cultures and countries. 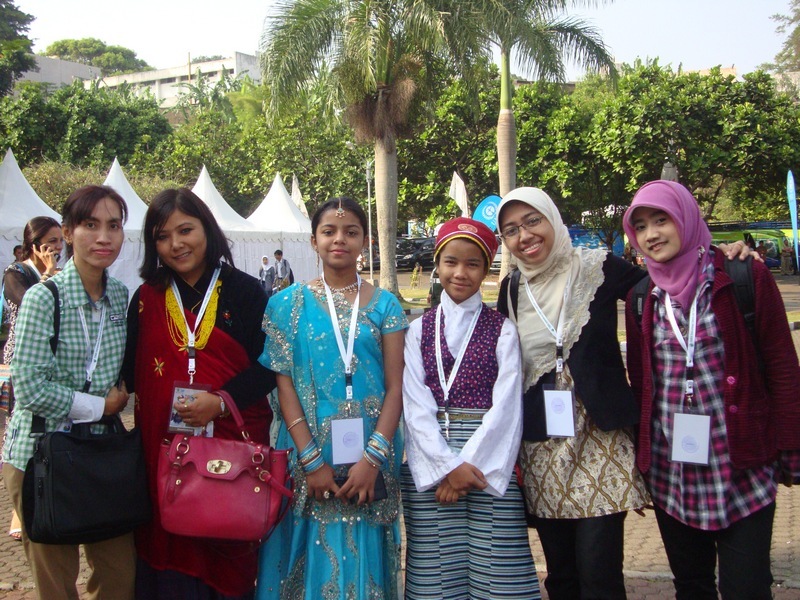 On the first day when all delegates arrived donning national costumes, there was an atmosphere of a global festivity. They spoke all languages and this necessitated translations. 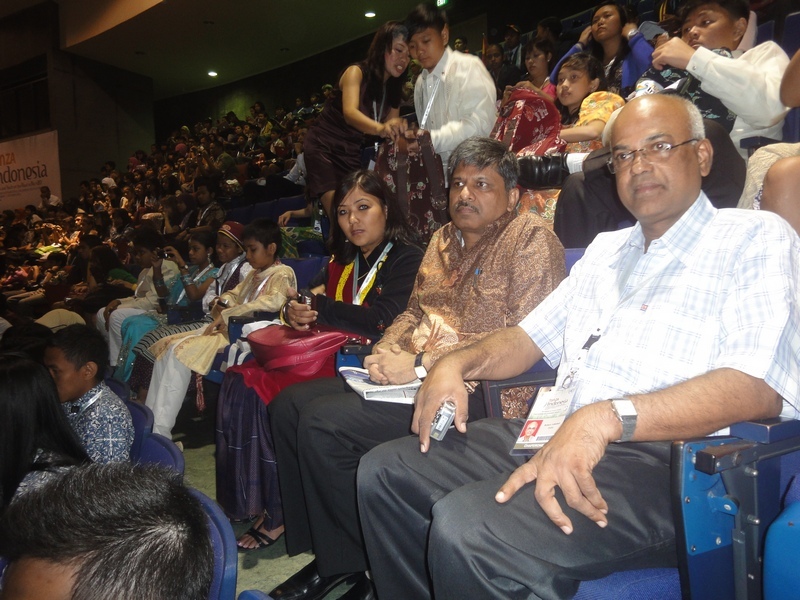 One of the Chaperons, Dainy Cherian mentioned that she wished that the organizers paid more attention to this aspect and buried some of the bureaucratic procedures. Imagine 1500 persons belonging to four categories: Children, Youth, Organizers and U.N officials sharing a single building for varieties of meetings! Buses disgorge them from different hotels at pre-assigned time early morning. The whole group disperses into a dozen halls for meetings and activities. For an outsider the whole thing looks total insanity. But everybody knew their ways and timings. It is very difficult to write a summary of what took place in the five long days here in Indonesia. To be short, everything worked out fine. 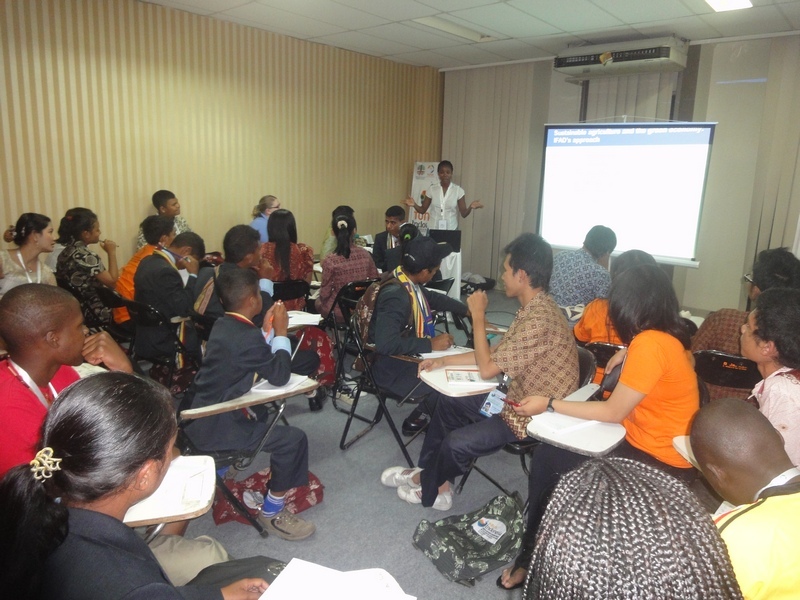 There were many workshops and side events. The purpose of the whole meeting attended by 1500 students and Chaperones from 120 countries was to bring out a Resolution to be sent to the United Nations. 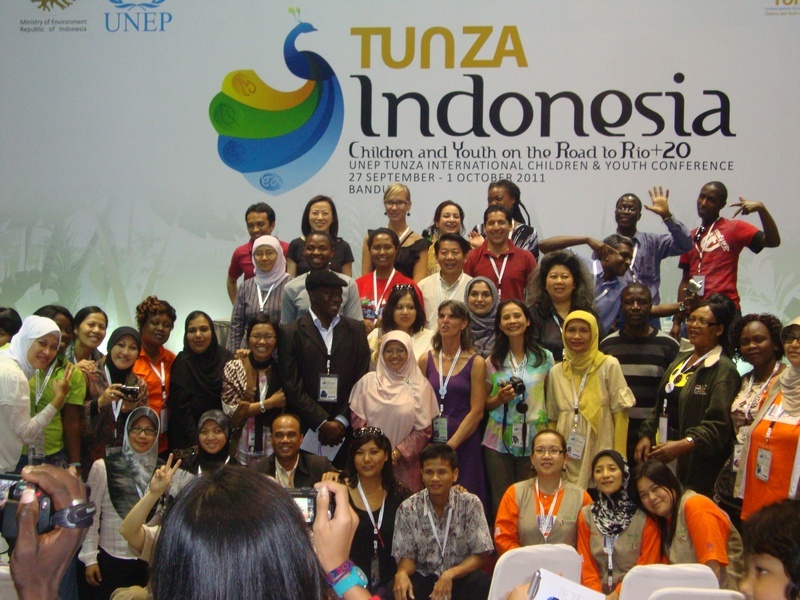 From day one, the assembly struggled on formulating the Draft and finally the Bandung Declaration (http://uncsd.iisd.org/news/unep-tunza-conference-develops-bandung-declaration/). The whole area surrounding the campus is cordoned off by police. 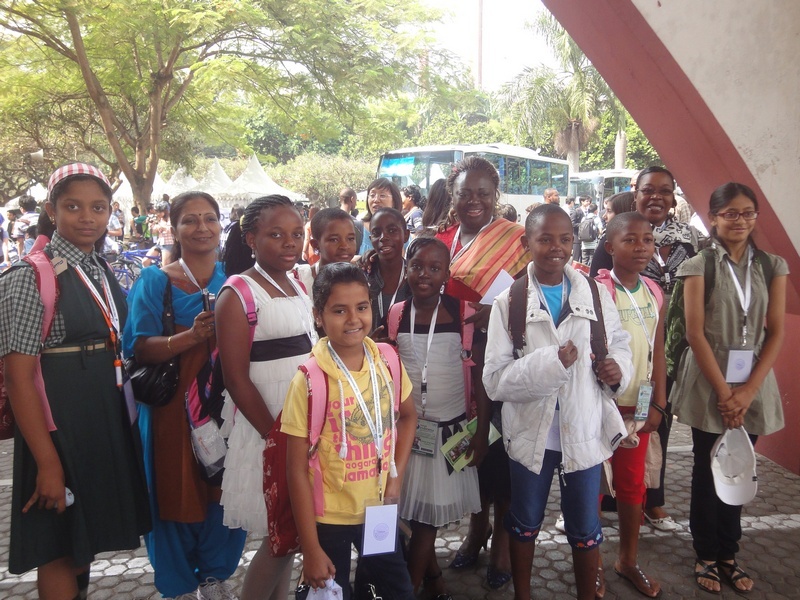 While traveling on a taxi to the venue students and chaperones were checked several times. The ID card that dangled on their necks alone allowed one to negotiate the way in. 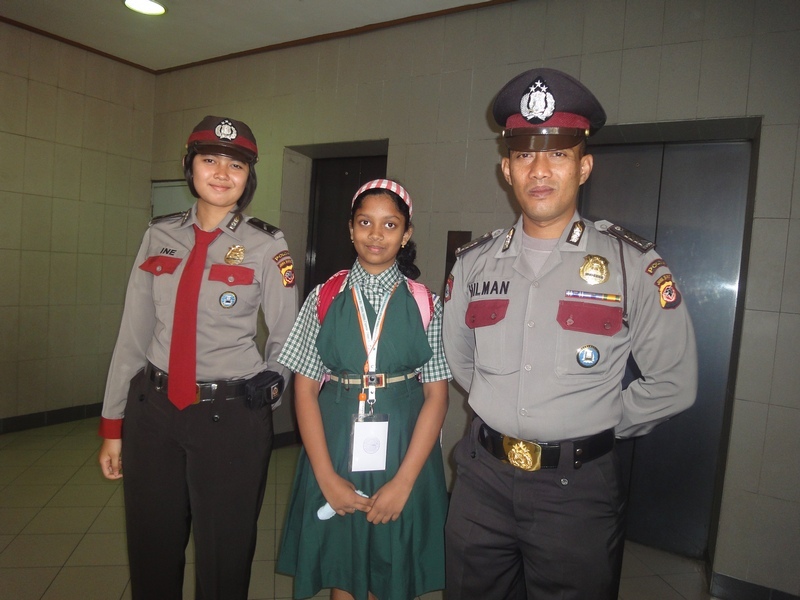 Sudeeksha (De Paul Vizag) from Vizag was totally charmed by the Indonesian Police officers! 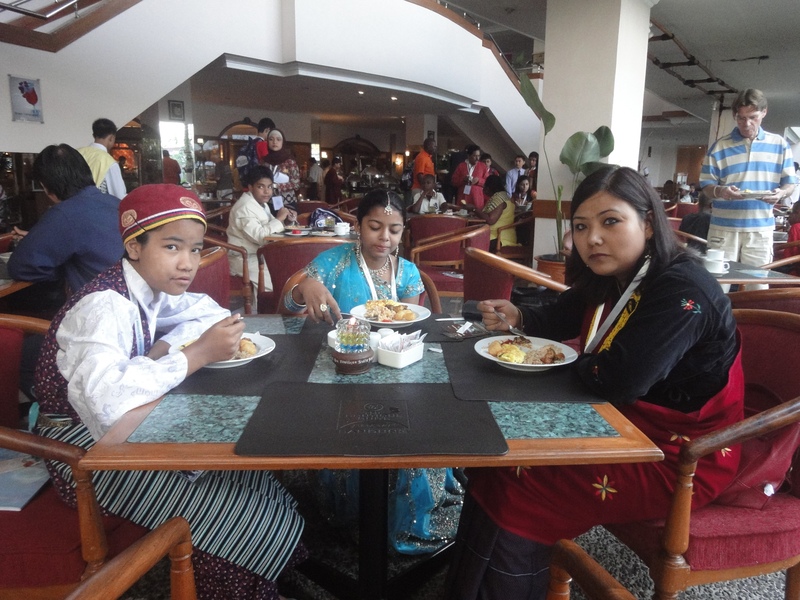 Snacks were provided at intervals and lunch and supper at fixed times on the roof top of the halls. Every meal was accompanied by singing in different lingos. This noon there were bunches of Indians and Indonesians singing Hindi songs. Hindi songs and actors like Shahrukh Khan were very popular here. West Champaran gang from Bihar led by Ravi Kr leading Terrace dancing during meals! Keeping up with the tradition of dancing, a Tarumitra from Bangalore, Albert enthused the large assembly on the last day when he pirouetted on the stage dancing the famous Jai Ho of A. R Rahman. The audience turned delirious and cheered him to carry on. 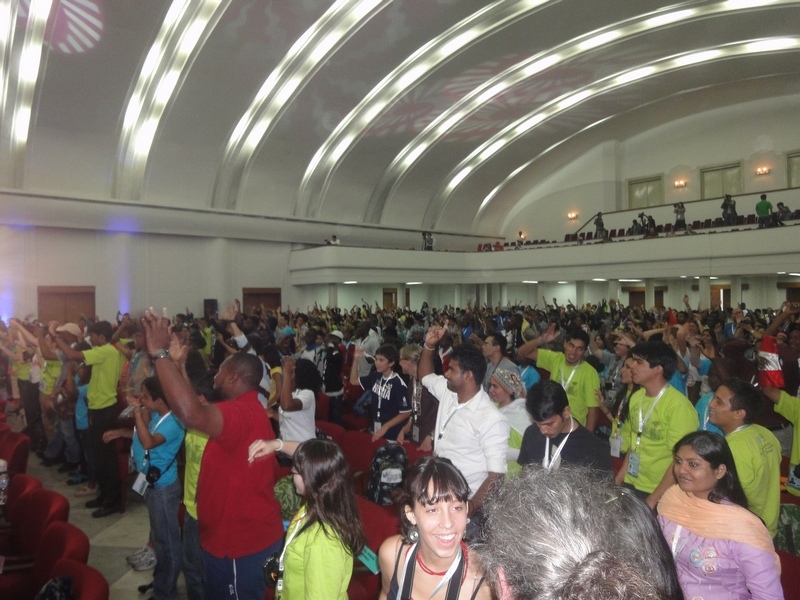 1500 delegates danced with Albert’s Jai Ho piece! One morning the Chaperons were herded into buses for shopping in the large market places. The guides told them to bargain heavily by starting with 25% of the prices they quoted! Denis Rodericks from KR High school Bettiah said that it was more like the markets in India and therefore it was easy to bargain! Things were as expensive as India. One said that that there were many more choices here since provisions arrive here from China, Japan, Singapore and Taiwan. 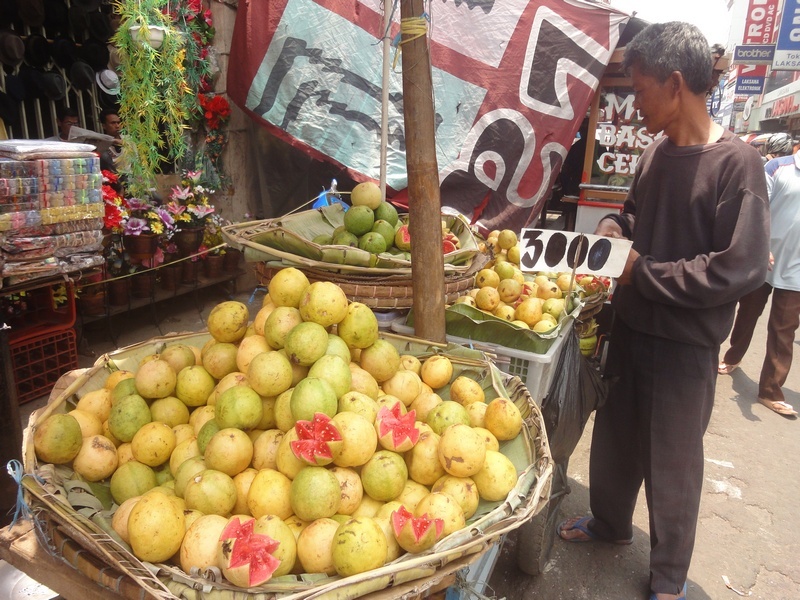 Some found quite a few varieties of fruits they have not seen earlier. 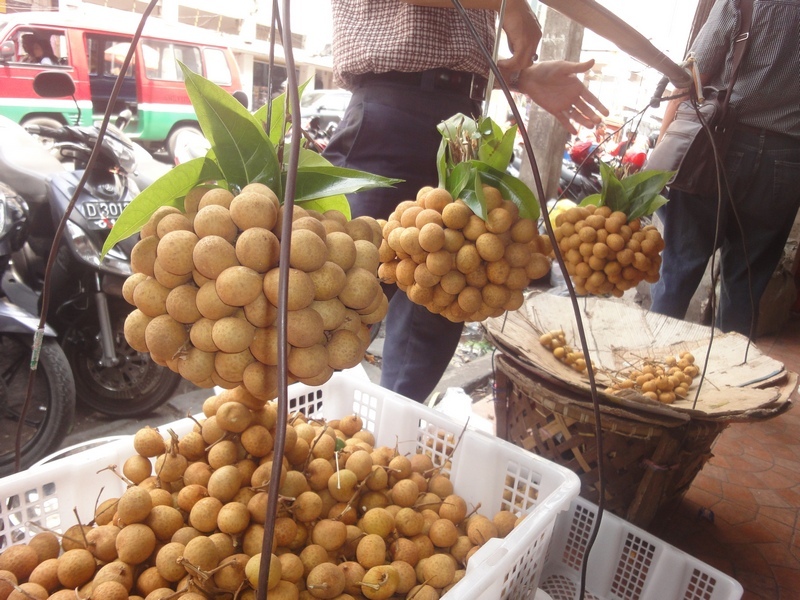 There was the jackfruit like Dorian, the round fruit that tastes like Litchi, giant raspberries, livid violets etc. Some of the chaperones like Mr. Ravi from St. Xavier’s Champaran could not make up their minds as what to buy! The elections for the Youth Board took place. Yugratna was our best bet. But she could not contest since she was under age! 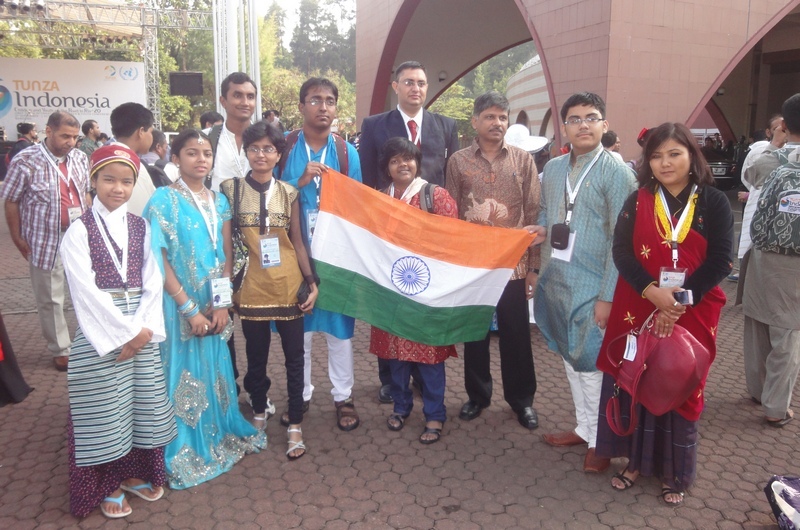 A girl from Bangalore was chosen to represent India. There was a training for children as well as chaperones to face the TV cameras with confidence. That was rather unnerving but very useful. 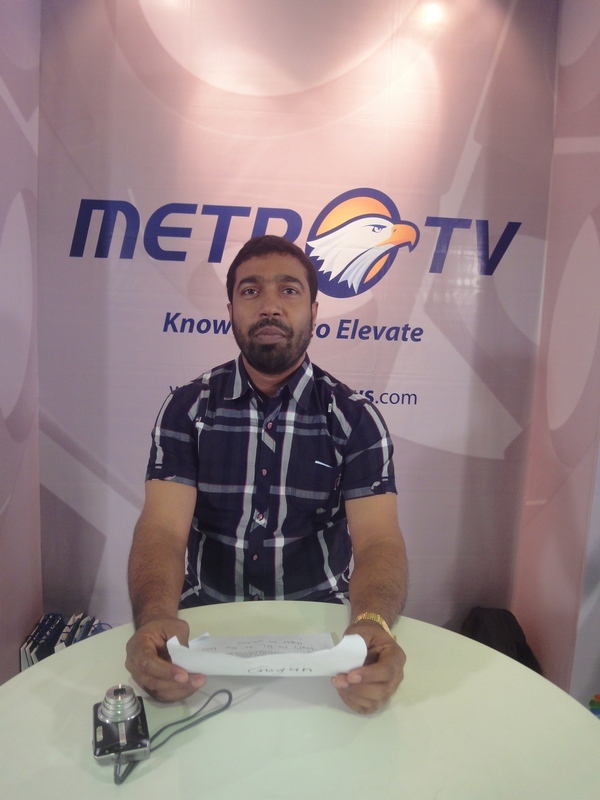 Chaperon Thomas Poothara TOR feeling confident as a TV Newsreader! There were also many moments for fun and laughter. 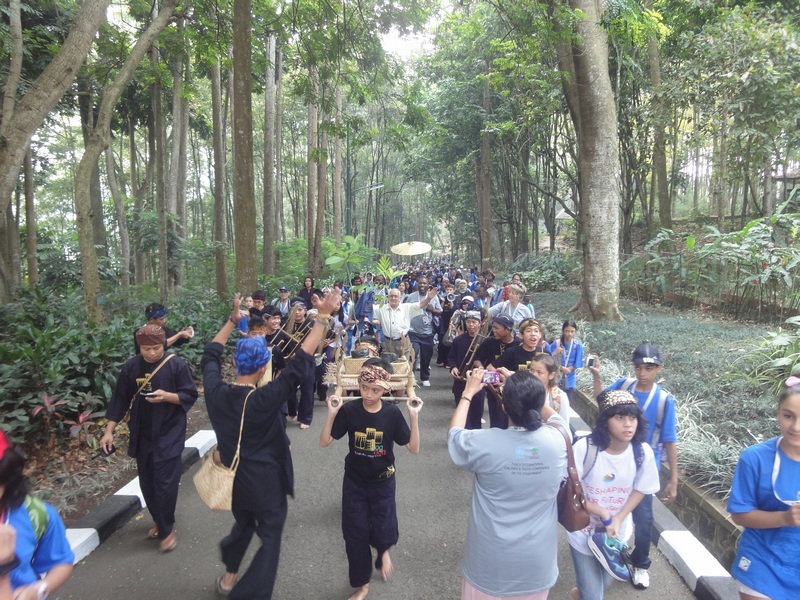 For example, when the groups returned to their respective hotels, they got more time to unwind. Many of the Indian delegation who stayed in Hotel Jayakarta had whale of a time in their large swimming pool. One heard loud peals of laughter and excited screams for hours. The Chaperones had a hard time to get them back to their beds. 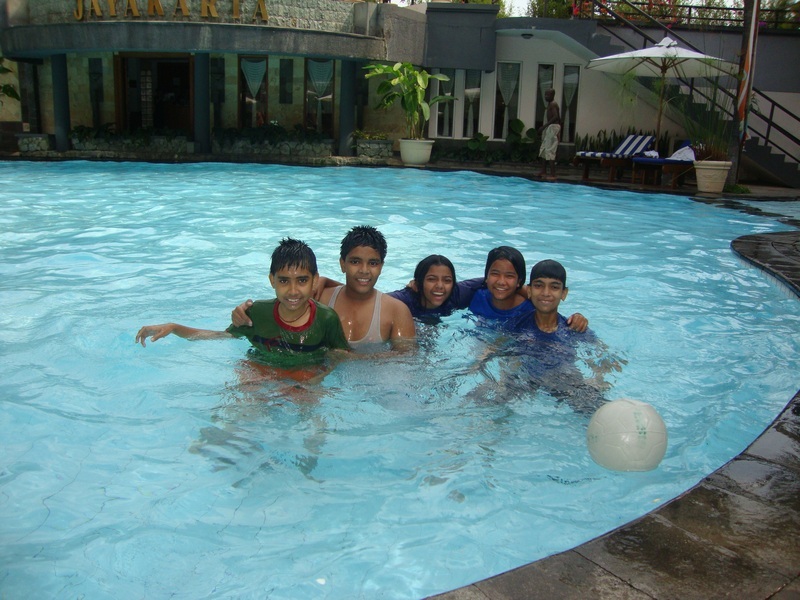 Hotel Jayakarta offered the students plenty of time to unwind in their spacious swimming pool in the evenings! 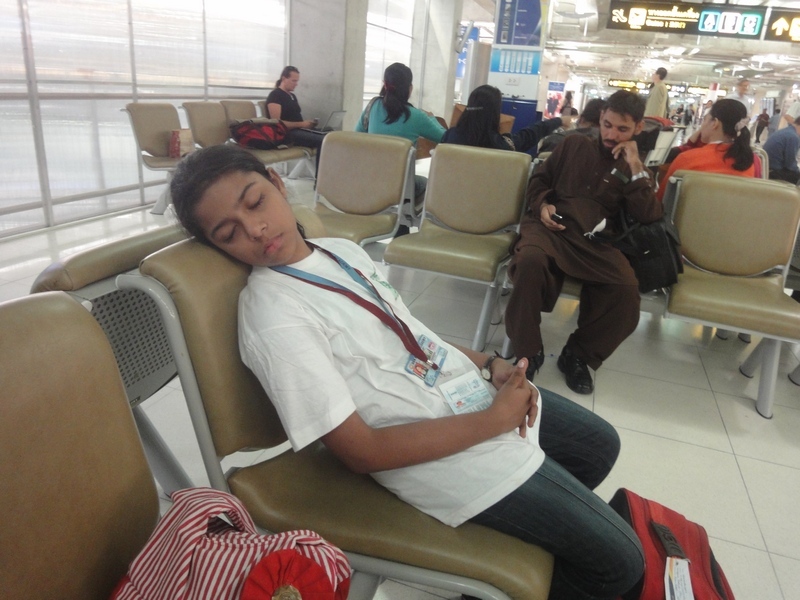 “Bidding farewells on the last day was tough” said Simran from Bettiah. She was not exaggerating. It was difficult to come back from a lovely dream called Tunza! Tarumitra salutes the United Nations Environment Programe (UNEP) team especially Theodore Oben, Joyce Sang, Alice Chege and Edgar.